Two years ago I was on my Facebook newsfeed when I scrolled on a video. I watched it. Its the introductory video for the Bullet Journal system made by the creator himself, Ryder Caroll. That video changed my life and the way I organize my thoughts. As a self-confessed list-maker and planner addict, Bullet Journal have opened a way for me to bring back my sanity. It became my brain in a notebook. I plan, I create my to-list, I dump my ideas and I organize my entire personal, work and blog life with it. If it hadn't been for that video I don't what I'll be doing right now. So to give a shout out to Ryder Caroll and the whole Bullet Journal community I thought it would be nice to have a compilation of the things I learned so far. I hope you'll enjoy this post. 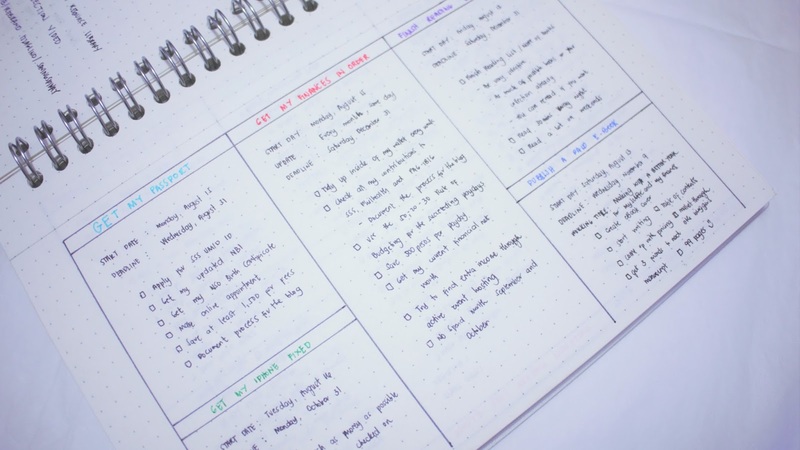 Though the Bullet Journal system is very easy to learn and to set up, you will definitely find yourself unsatisfied for the first few months (even years). 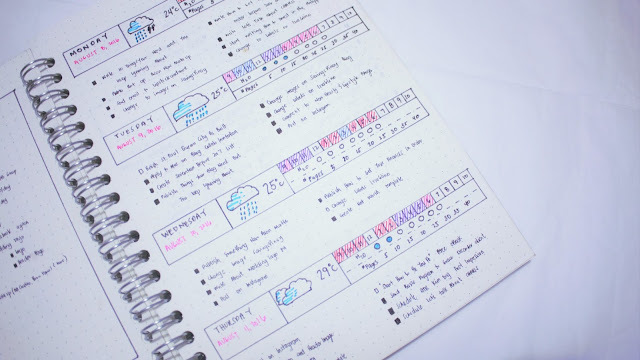 You find a lot of planner goals online and you just want to copy what they do. You will battle between keeping it simple and true or fancy and not you. And its actually okey. This whole process of changing from layout to layout is necessary for you to find the one. It took me exactly one year to know what I want my Bullet Journal to look like. And I'm proud of what it had become through the years. Don't settle on a notebook you don't love just to get started with a Bullet Journal. It helps a lot if you are massively in love with your notebook. Invest in your notebook and don't be scared to shed a few pesos for it. 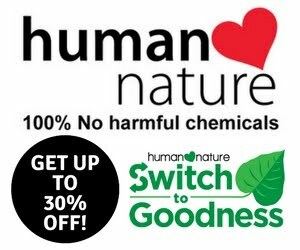 There are always nice notebooks out there at very affordable price. Since Leuchtturm1917 dotted is so hard to find in the Philippines and Moleskine is just out of my interest I find Muji notebooks to be the best alternative. I am currently using their A5 Dotted Spring Notebook and so far so good. I will be honest to admit that in the category of building habits and tracking them I am a big failure. I tried so hard to pick up a habit I would do in the next 21 days or so but I just can't do it. I guess I have to stick with smaller ones like a weekly tracker instead so I can really focus on them. 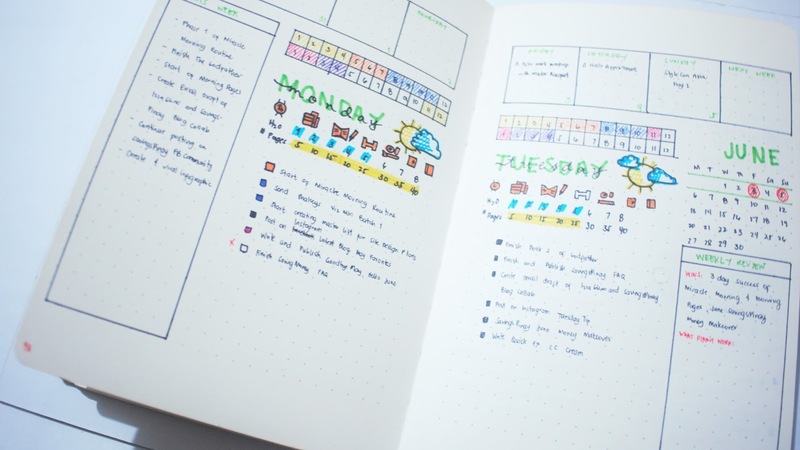 I find great joy in seeing Kara of BohoBerry as well as Christina of christina77star because they are so consistent and cohesive in their Bullet Journal designs. As much as I want my Bullet Journal to look half as pretty as them I just can't do it. And so I realized that having different layouts is okey. The Bullet Journal system is very forgiving. Once a layout doesn't work you can just alter or ditch it accordingly. Currently I am finding it hard to stick with one weekly spread. I also though I already found a daily spread that I'll use. My Editorial Calendar for the blogs also keeps on changing month after month which is a bummer to be honest. 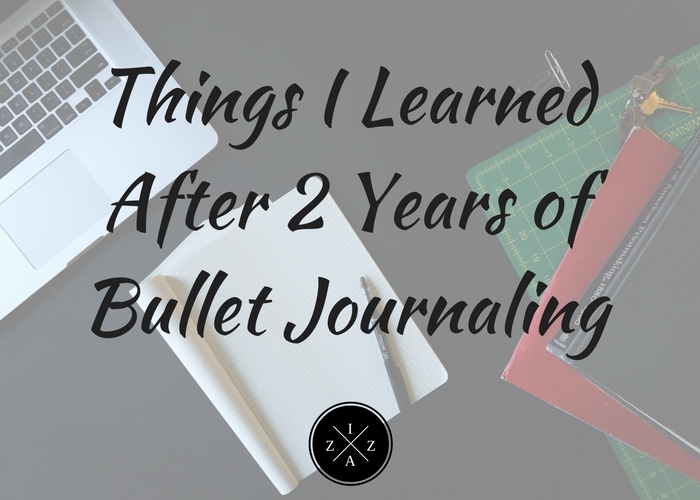 There's a post I read that keeping two Bullet Journal is better. One for the rapid log or list-making and the other for a more organized planning. I find that untrue. For me one Bullet Journal is enough. I find it more convenient to carry one notebook on a daily basis. Ever since I started my Bullet Journal journey I got this love affair in writing things. Sa totoo lang pasmado ako dati as in I can't stand writing stuff cause my hand sweats a lot. But since I got into the Bullet Journal I am not anymore. I don't know if my hands get used to it or what. Anyway aside from that benefit I also feel like writing things give me so much happiness. I feel at peace whenever I set goals, I write my to-dos and I scribble notes. This is where the Bullet Journal ultimately help in my productivity. Since I have a space to write things down I was able to consciously process my tasks and actions. I can assess what my next action should be and when to best do it. I learned to set deadlines on projects, to track the time I spend on each activity and to review whether I have a productive week or not. It's really life-changing to be honest. The best thing you should do is to keep your Bullet Journal as simple as possible. You'll realize that a lot of collections aren't that useful at all and you just need what they call as the "essentials". Simplifying your Bullet Journal is the best thing you can ever do so you won't add that much chaos to your life as well. Of course you have the freedom to add Unique Ideas on your Bullet Journal just don't be too consumed that's all. You need to set your priorities so you won't spend too much time decorating etc. It is a journey to be honest and every new month, every new notebook is like an opportunity to improve your system. Don't be scared to have mistakes or to tear down a page or to glue pages together. The personality of a notebook comes from the moments and memories you shared with it. I love revisiting my old Bullet Journals specially those when I was just starting. The Bullet Journal System has truly made the past two years of my life extra special. I love that I have a system to follow especially since I a lot of ideas going in my mind on a daily basis. I think the last time I went to Muji A5 dotted was out of stock. :< better get back there soon! 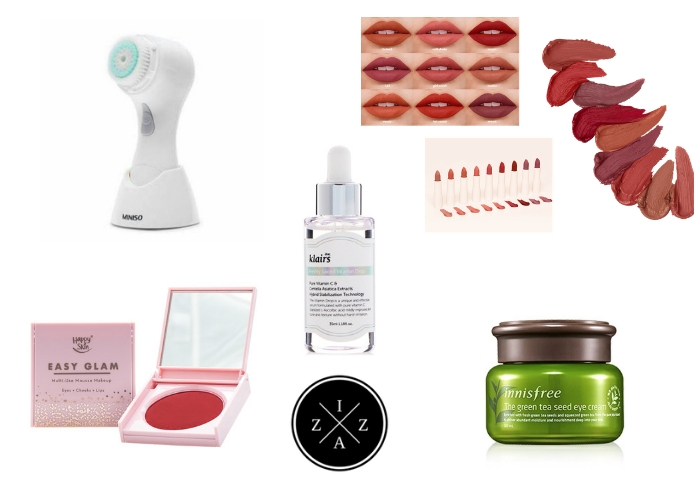 MONTHLY RECAP | Goodbye July, Hello August!